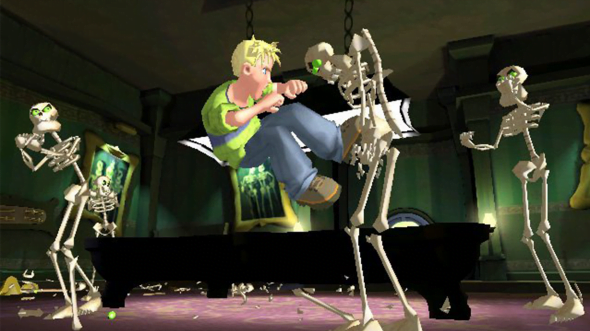 The Souls series is known for their family-friendly themes and kid-approved gameplay elements. Read on to learn why Dark Souls II should be the next game you buy your child. Spoilers for the first Dark Souls follow. The Souls series of games, known for their family-friendly themes and kid-approved gameplay elements, released its third entry in March of this year to critical acclaim. Read on to learn why Dark Souls II should be the next game you buy your child. The long-awaited follow up to 2011’s Dark Souls, which followed protagonist Ronald Souls as he fought dastardly “Dark” members of his family, promises to improve on all of the best gameplay elements of the first game and more. Ronald’s golden unicorn won’t be making another appearance, however, as it too perished with Ronald at the end of the first game. I personally remember sitting with my younger cousin as he finished the short five hour campaign. The look on his face when his favorite protagonist was betrayed by his own father was heart wrenching. 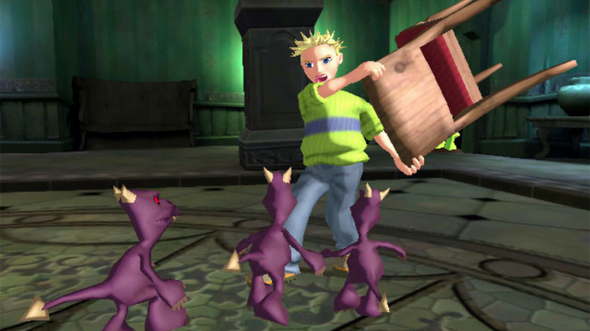 Franklin, the new protagonist, fighting off some gremlins. To avenge Ronald, in Dark Souls II, you play as Ronald’s younger brother, Franklin. “Franklin will have a lot more mobility than Ronald,” said Tomohiro Shibuya, creative director of Dark Souls II. “The platforming will be a lot more streamlined.” In our interview with Shibuya, he demonstrated some of the signature gameplay that we have all come to know in Dark Souls. Bouncing from one cartoon skeleton to the next, he managed to wrack up an impressive 10x multiplier before getting hit by a spooky ghost. “The skeletons and ghosts are new to this game, but the cloud soldiers and gumdrop fighters will return,” Shibuya assured us. Some of Franklin’s new abilities include the ability to double jump and use his FlowerShield™ to hover over obstacles. In addition, you will be able to select from a team of fun, colorful companions to aid you in battle. One of the most beloved characters of the first Dark Souls, Ralphie the Rat, is a fully-playable character with his own unique abilities. A few spooky scary skeletons attack Franklin! Dark Souls II is available for purchase today on Xbox 360 and PlayStation 3 at every major retailer and is rated M for Mom-friendly. That’s grabbed by the ghoulies.